Watching the Turn your Fortune™ slot preview video on YouTube, I wasn’t much impressed seeing the game at first. This, however, quickly changed when I saw three Scatters turning your fortune! 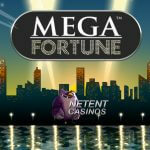 It’s obvious that this game revolves around the Free Spins feature, but once this one is activated, you truly get a chance to create some good fortune. 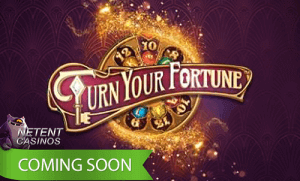 Check out what to expect from the Turn your Fortune™ slot as soon as the game is launched on the 3r of January 2019! Looking at the one and only video that could tell me more about the Turn your Fortune™ slot, some sort of golden cylinder on the left side of the game is showing amounts from 5 at the bottom to 150. Above that you’ll find a x20 Multiplier. So what does this mean? I’ll explain as soon as I find out! On the reels you’ll find Wilds and Scatters, combined with animal symbols and letter symbols. I assume that the Wild will do what it always does, substituting for all symbols except Scatters. Three Scatters will result in the golden cylinder becoming active and some sort of symbol wheel is shown. Numbers will be shown on the outside wheel while coloured symbols are shown on the second wheel and in the middle you’ll find three Key symbols which I later find out could be keys symbols too. The three Scatters will activate the wheel and all wheels start to turn. After all wheels came to a stop, you’ll see the desktop game being switched to Turn your Fortune Touch®, the mobile casino version. The wheels show a 7, an A, and a key all standing for a particular feature. 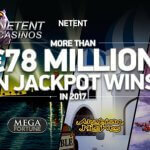 Seven is the number of Free Spins that will be activated, while the A is the collectable symbol during these Free Spins while the Key symbol awards one Fortune Turn. For now, I have no clue about the last two features, but the above preview video bring me the answer as one sentence explains that 20 collectable symbols increase your fortune. During Free Spins, I notice that the numbers 5-150 increased with 10 being the lowest number now and 200 being the highest. The Multiplier now even shows an amazing x200 Multiplier which makes this Free Spins feature looks like one you can’t miss out on! As soon as the 7 Free Spins are activated, you’ll see the Key being transferred to the cylinder which leads to the numbers changing again to 20-400 while the Multiplier remains the same. 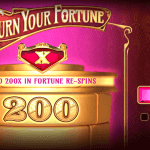 As expected, every single A symbol visible on the reels during Free Spins will be collected and when the number of A’s shows 20, your fortune will grow. That’s when you see the number on the cylinder increasing and your fortune increases to 30 instead of the minimum of 20. When a key is found on one of the reels, the numbers will again increase while you won’t fall back to the minimum amount. You’ll stay at “level 2” on the cylinder. 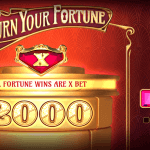 I now get the idea that the aim during this Free Spins feature is mainly about the fortune numbers on the cylinder and to increase that number as much as possible. The higher the amount, the bigger the fortune win. The key definitely explains where the name of the game comes from as every turn will increase the amount and will lead to bigger fortune wins. The total number of the collectable symbols can increase a lot faster if the selected symbol appears with a +? with the question mark standing for a certain number. At the end of this Free Spins feature, you’ll see the amount increased to 200 which will at the end be multiplied by the x100 Multiplier. It’s obvious that depending on your bet, this can lead to incredible fortune wins. The YouTube preview video shows a total bet of €5,00 and this leads to an amazing €1000 win during the Free Spins feature. 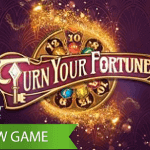 Even when you play with smaller bets, I’m sure this Free Spins feature can be very satisfying, a reason to look forward to the 3rd of January, the day Turn your Fortune™ and Turn your Fortune Touch® will be released at the NetEnt Casinos.